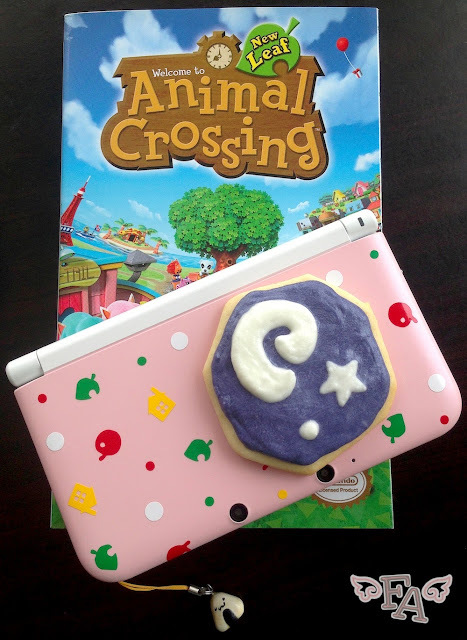 The book shown is the "Animal Crossing: New Leaf" Prima Game Guide. 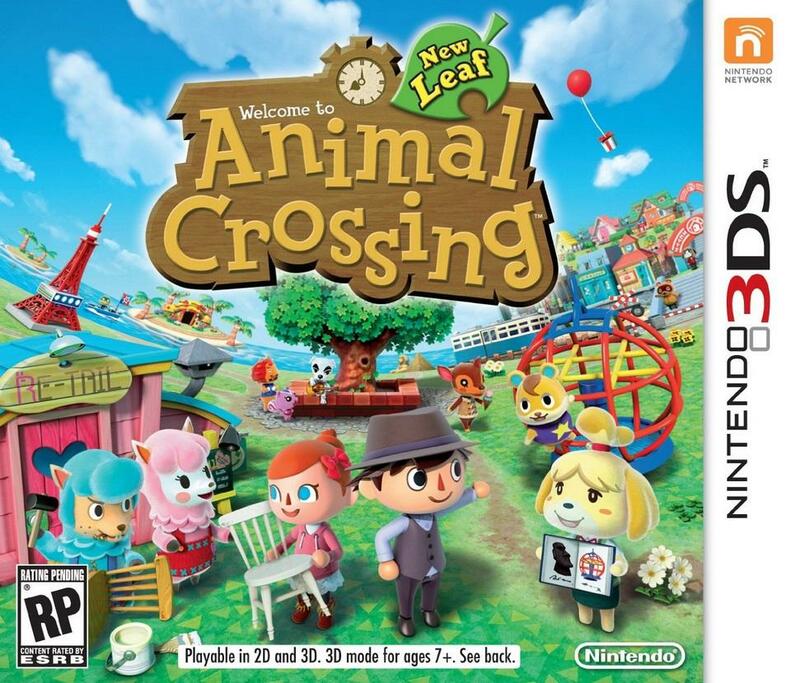 Hooray for Nintendo's "Animal Crossing: New Leaf"! 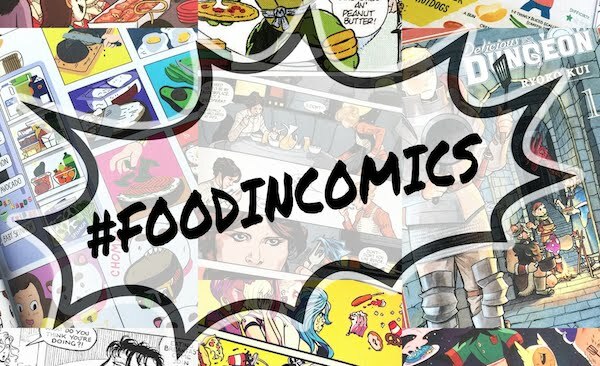 Food is mentioned quite often in the game and plays a major roll in your character's daily activities. 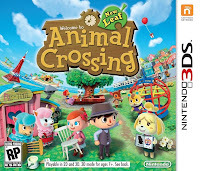 You can plant and harvest fruit trees and sell the produce, fish and dive for profit as well, buy fortune cookies with special tickets inside for prizes, buy coffee for yourself and deliver coffee to other town residents, and the townsfolk talk about food often enough. It's wonderful! This is why I have my very own, super cute 3DS. B has had one for a while & I used to snag his to play my ACNL cartridge. 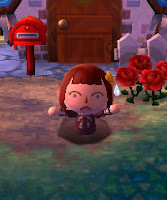 He even became a resident of my town (and buried pitfall booby-traps behind trees and stuff....). But now I have my own system and he has his own copy of the game so we can play together and visit each other's towns! *whew! * So goofy and so much fun. And it'll be really fun to virtually visit one another when B has to leave for Air Force technical training. Aaaaanyway. I think this is a great game. I named my town "Puhoy" after an episode of "Adventure Time". Note: The recipe below is simple enough but the amount of text may seem daunting. The bulk of it is simply describing the cutting and decorating of the cookies, but honestly the images are pretty self explanatory. 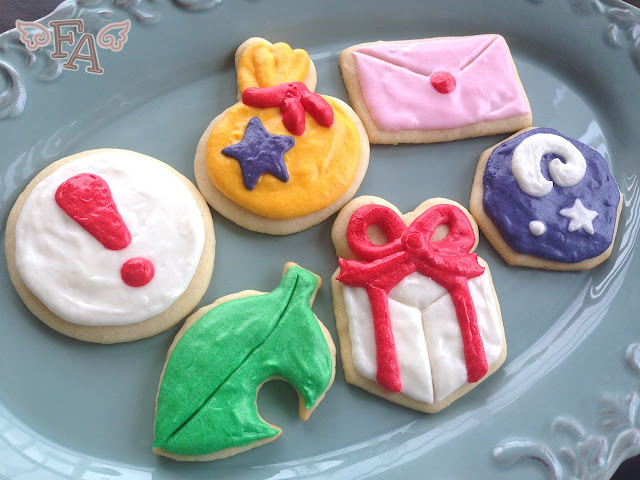 Simply make the sugar cookies, cut them in the appropriate shapes, make the frosting in the right colors, and decorate as close to the game items as you can. Viola! The onigiri charm on my 3DS XL is from "Penguin's Plunder" on Etsy. 1. Make this sugar cookie dough with almond flavoring instead of vanilla & let it chill for several hours. When you're ready to bake the cookies, preheat the oven to 350. Roll out the dough as directed, about 1/4" thick, & cut 4 circles, 1 rectangle, & 1 wide rupee shape. To the rupee shape add the "ears" to the top that will become the bow on the present (shown above). To 1 of the circles carefully cut out a leaf design & using a small circle cutter, cut a circle on the lower right of the leaf (as shown above). To another circle use a knife or metal spatula to cut angled edges around the sides (see image). This will be the fossil. To another circle press in the top & form it up to create the gathered top of the bell bag & round out the sides (shown above). Leave the last circle as is, this will be the pitfall seed. Leave the rectangle as is as well to make the letter/envelope. Chill the cutouts in the freezer for a few minutes to firm them up & then bake them according to directions. 2. Whip up the greek yogurt, almond flavored, buttercream & separate it into 6 bowls (including the one you mixed it up in). Leave one bowl white & make the others into a golden yellow, a dark, grey-ish purple, a vibrant green, a pale pink, & a solid red. Fill 6 sturdy plastic baggies with these frostings. 3. When the cookies are completely cool begin decorating the bell bag by snipping one corner of the yellow frosting bag to create a medium sized opening. 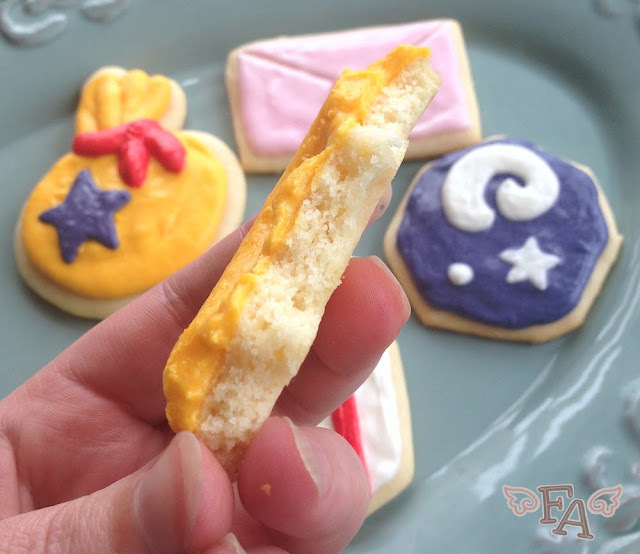 Cover the cookie in yellow, using a butter knife to smooth, & then snip a very small opening in a corner of the red frosting bag. Squeeze on the red drawstrings. Cut a tiny opening in the purple frosting bag & carefully draw the star on the front of the bell bag, using a toothpick if needed. Next, move onto the fossil by enlarging the hole in the purple frosting bag to medium. Cover the entire cookie in purple frosting, smoothing it out as needed. Cut a tiny hole in the the white frosting bag & carefully draw a small star on the right side & a small circle below it. Enlarge the white frosting opening to medium & draw the spiral on the right side. 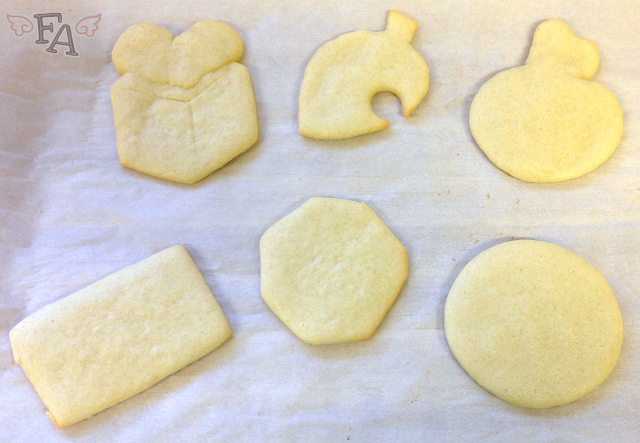 For the pitfall seed continue with the white frosting & cover the circle cookie. Enlarge the opening in the red frosting bag to medium & draw the exclamation point over the white. Take up the white again & cover the present cookie, leaving the bow area blank. Drag a toothpick through the white to create the edges of the present (as shown above). Use the red frosting to draw a stripe up each side, making sure to angle the stripes in at the top (as shown). 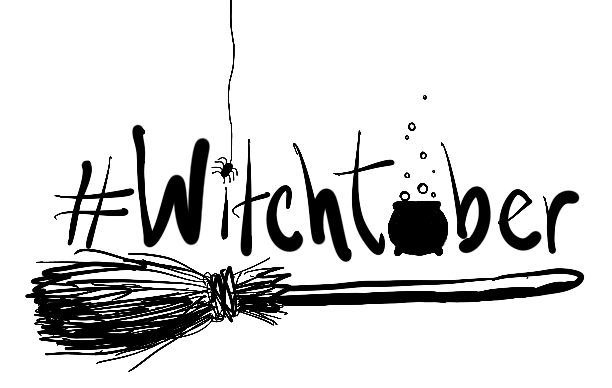 Now carefully draw on the bow & detail it with a fresh toothpick. For the envelope take up the pink frosting & cut a medium hole in one corner of the bag. Cover the rectangle & drag a clean toothpick through the pink to create the envelope flap. Use the red frosting to make a circle in the center of the cookie. To decorate the leaf, cut a medium opening in the green frosting bag & cover the leaf shaped cookie. Using another clean toothpick drag a lie through the green to make the stem. Use the toothpick also to create the points near the small circle at the bottom of the leaf. Now you're done! The frosting will harden a little bit as it sits out, but not enough to stack. And there's no need to refrigerate the cookies, but I do recommend keeping them in a plastic container, in a single layer to keep them clean & fresh. The 3DS XL decals are from "minicreations" on Ebay. Ah, I wish I could remember the company! I bought these stickers several years ago (maybe close to 10? gosh) at a specialty toy store I used to work at. I sent a message to a former co-worker to ask if she remembers the company, but as of right now I have no idea! I have some of the stickers left on a clear sheet, but other than that I don't have any other packaging for them that would give me any hints about who made them. I did find an awesome online shop though that you might be interested in that has tons of cute stickers similar to these little bunnies. Sorry I couldn't be of more help! If I find anything else out I'll let you know. My friend just responded and said she can't remember the company either but sent this link of uber cute stickers you might like! That is awesome! Thank you so much!! I already see so many that have caught my eye, haha. Those cookies are so impressive! Oh wow these are so cute! I want to have an acnl themed wedding because my boyfriend and I met on acnl, these will fit right in! I love them, they are SO pretty! 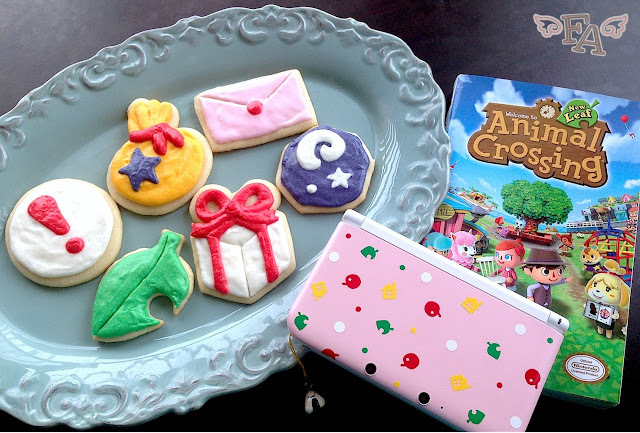 I have an acnl website (loveacnlloveappleby.yolasite.com) ,and 2 blogs, and 2 tumblr pages, lol, these look so appealing omg! 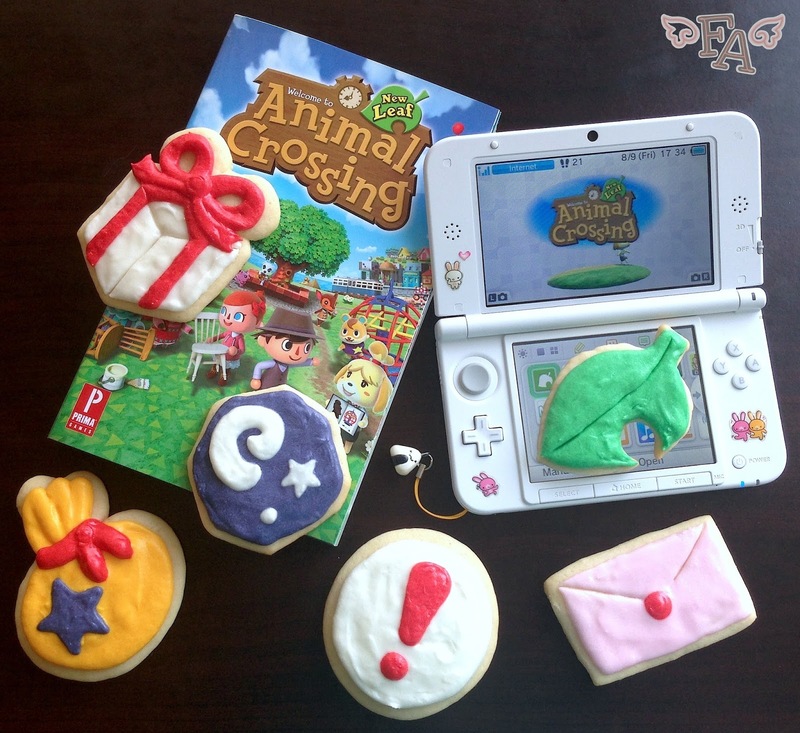 That would be so awesome to have these at your ACNL themed wedding! Be sure to take pictures! You could also incorporate the different fruits available in the game in your wedding menu. Thanks, Tuesday! Yes! Make them for any occasion! ALL of the occasions! As a huuuge fan of this game (and sugar cookies! ), I am definitely going to have to try these out!! I'm also in love with the bunny stickers on the inside of your 3DS.